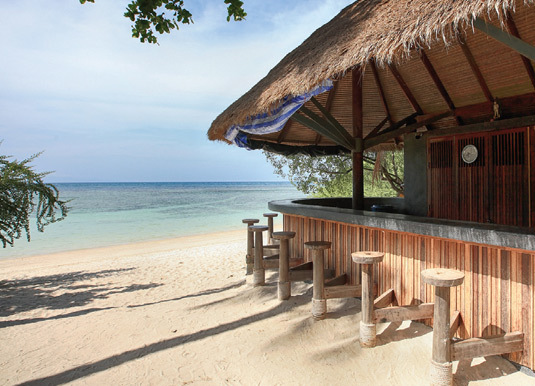 This eco-friendly resort enjoys a simply stunning location on its own secluded beach at the southern tip of Koh Tao. 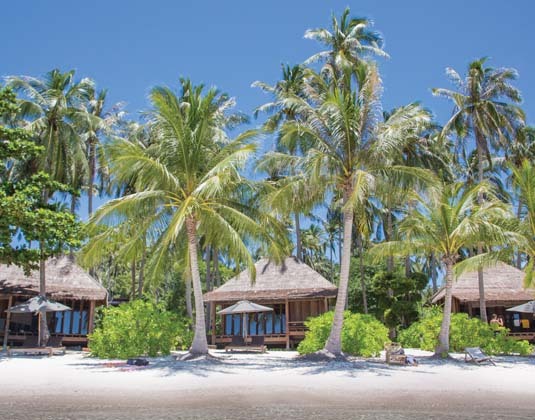 The property's villas are thoughtfully spaced amongst 45 acres which features a breathtaking natural bay, and many have their own private pool. Truly barefoot luxury. 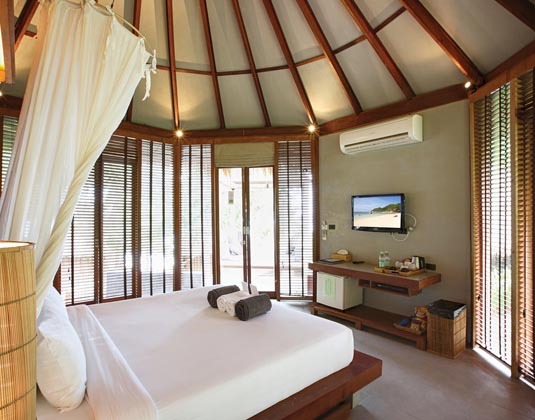 In hideaway villas (king size bed only) which are nestled amongst the lush natural forest with air-conditioning, shower, DVD, mini bar, safe and balcony with sea view. 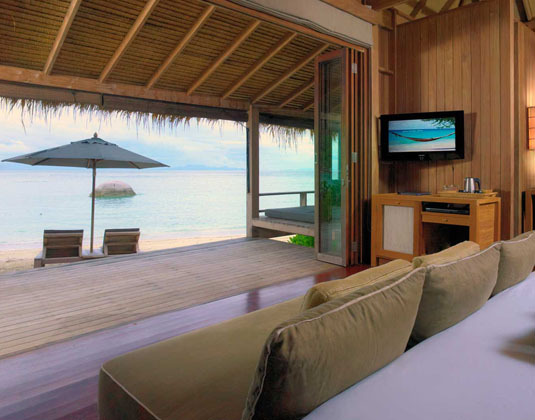 Getaway villas which are close to the beach, larger Haad Tien villas, stunning castaway beach villas. 01 Apr 19-31 Mar 20 if you book at least 60 days prior to arrival. 01 Apr 19-31 Mar 20 if you book at least 90 days prior to arrival. 01 Sep-19 Dec 19 if you stay at least 5 nights. Only combinable with early bird offer. 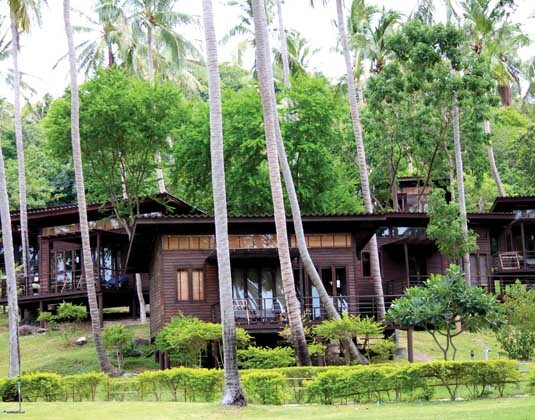 01 May-14 Jul 19 and 01 Sep-19 Dec 19 if you stay at least 7 nights receive one free set dinner for two. Only combinable with early bird offer. 01 Apr 19-31 Mar 20 receive fruit basket, room decoration and one bottle of wine. 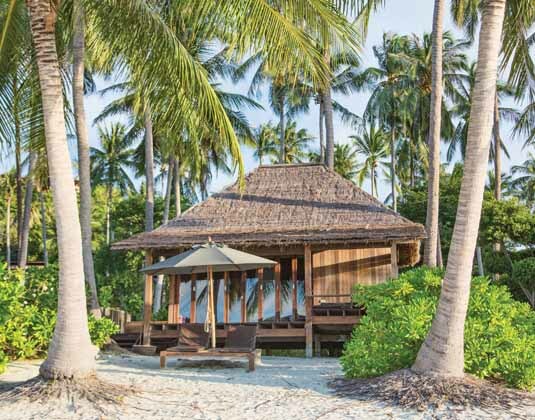 If you stay at least 6 nights 01 May-14 Jul 19 and 01 Sep-19 Dec 19 receive free upgrade from hideaway villa to getaway villa, getaway villa to haadtien villa or haadtien villa to castaway beach villa, subject to availability. Only combinable with early bird offer.